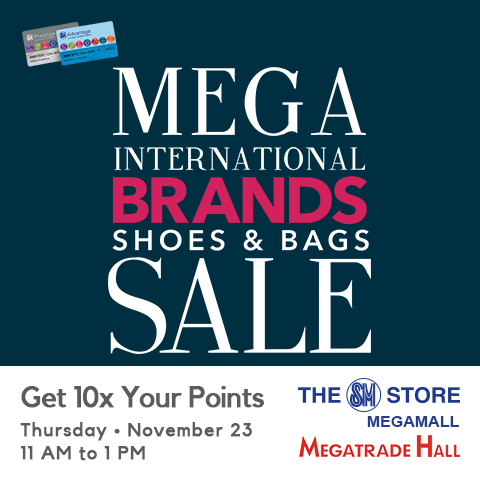 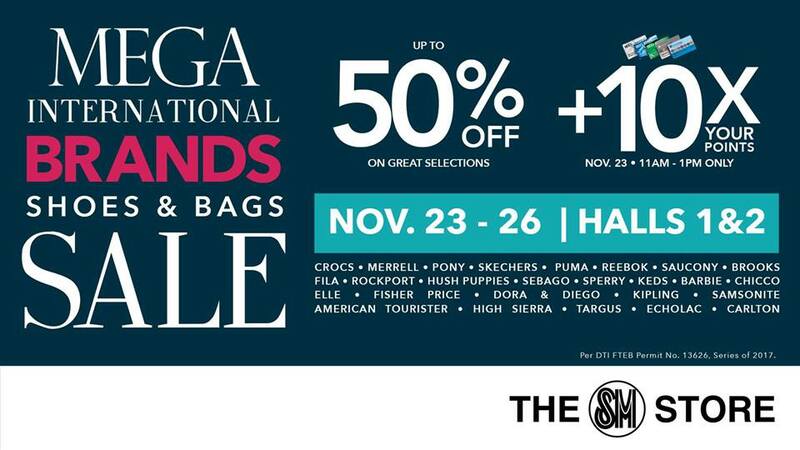 The Mega International Shoes & Bags SALE happens on November 23-26, 2017 at the Megatrade Hall, SM Megamall. Enjoy up to 50% off on your favorite international shoe, bag and luggage brands! 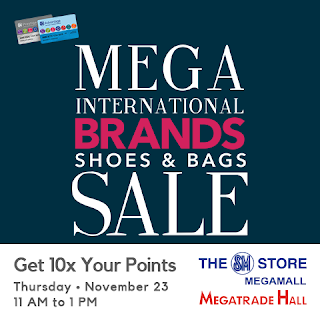 SM Advantage, SM Prestige, and BDO Rewards members get 10x their points when they shop and present their cards upon purchase on November 23 from 11am to 1pm.